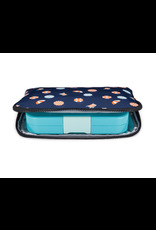 YUMBOX Poche – Insulated Sleeve Lunch bag (navy with beach umbrella design) Compact Insulated lunch bag sleeve, designed to carry Yumbox bento lunchbox (Original, Panino, Tapas, MiniSnack) Modern design with easy pull sports zipper, durable materials. Easy to carry in your backpack or work or sports bag. Dimensions: 12 (L) x 9 (H) x 1 (D) inches (expands to 2 inches in depth). 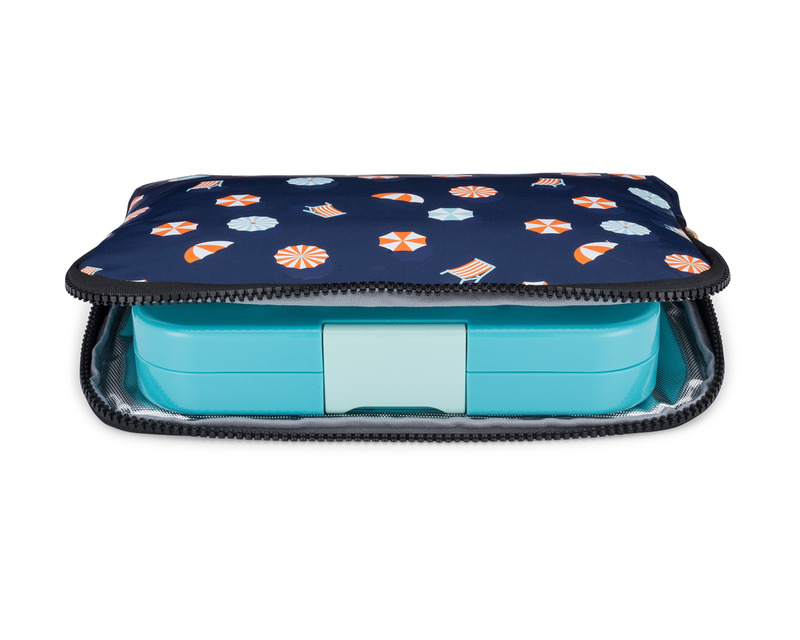 Lightweight and compact, convenient for packed lunches or snacks. Enough space for 1 Yumbox plus ice pack. Nylon exterior Wipe with damp cloth to clean.